Justin Bieber is in the middle of a feud with Marilyn Manson. No, this is not a joke. The pop star has been trying to turn his life around. He’s quit his Purpose World Tour to focus on his spirituality. The singer has been spotted with Pastor Carl Lentz on several occasions. Instead of partying, Justin Bieber has been attending church services. He still has found time to get into trouble. Marilyn Manson called out Justin Bieber in a recent interview with Billboard magazine. The 48-year-old singer recalled his strange encounter with the 23-year-old pop star. The topic came up as Marilyn Manson was asked about the younger generation of singers. Marilyn Manson says he appreciates when people are genuine fans. But, he didn’t like it when Justin Bieber wore a T-shirt with Manson’s face on his Purpose World Tour. During the latter part, the Biebs wore shirts that featured Marilyn Manson’s face on the front and Bieber’s name on the back. He decided to bring it up the next time he saw Justin Bieber. 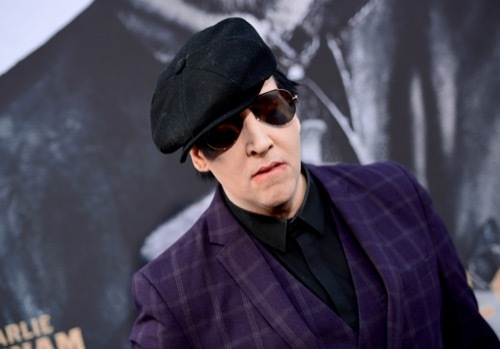 Marilyn Manson’s encounter with the pop star happened at the bar. He called the singer “touchy.” He also remarked that Bieber was short and looked like a girl with his pink tips. Justin Bieber reportedly told Manson that “I made you relevant again.” Marilyn Manson decided to fire back and suggested doing a song with Bieber at his next concert. Once the time rolled around, he didn’t show up. Marilyn Manson decided not to sue Justin Bieber’s company over the T-shirts. The company already knew it was at fault and offered Manson an undisclosed sum of money. 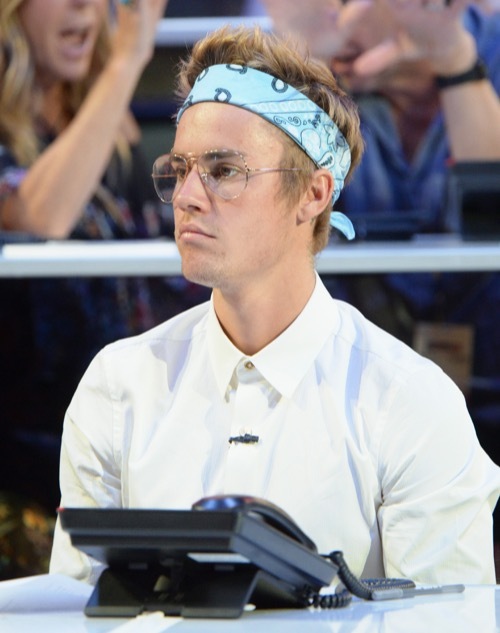 Manson said he wouldn’t have done anything if Justin Bieber didn’t say “I made you relevant again.” This strange feud came after Justin Bieber’s ex-girlfriend Hailey Baldwin was spotted wearing a similar Marilyn Manson T-shirt. The model spotted leaving a church conference in Los Angeles back in August. The 20-year-old attended the same event as Justin Bieber. She wore a T-shirt that read “Antichrist Superstar” for her Bible study class. The T-shirt was a reference to Marilyn Manson’s 1996 album of the same name, reports the Daily Mail. Her ex-boyfriend, Justin Bieber, was spotted leaving the same event. The pair attended Hillsong Church’s Zoe Conference, but did not cross paths at the religious event. It’s not unclear if Hailey Baldwin was sending a message to Justin Bieber that day. The two clearly aren’t on good terms after their short-lived romance in St. Barts. It’s just very coincidental that they have the same taste in T-shirts. What are your thoughts, CDL readers? Sound off below in the comments section. Taylor Swift Cuts Off Selena Gomez For Hooking Up With Justin Bieber – Selena Doesn’t Care!